What is something you have accomplished that you never thought you would? I love those moments in your life when you are able to smile to yourself knowing you have done something good….a moment of feeling proud of yourself. In the past those moments came few and far between because I gave myself no credit and constantly belittled myself. I could do something amazing and instead of patting myself on the back and appreciating my accomplishments I would say, “I should have done this or I should have done that.” Nothing was ever good enough because I was living by someone else’s rules…I don’t even know who’s rules they were but they certainly weren’t mine. Today is a different day. The last 6 months have been completely different. I decided on a whim (unsure of where it exactly it came from) to make my life my own and to appreciate even the smallest of accomplishments I made/make. Just today I went to the grocery store and when I parked my car there was a lady next to me that was about to push the cart back up to the store before she left. I grabbed the cart and told her I would be happy to take it for her. I didn’t need to do that. In the past I probably would have just turned my head the other way and just went about my business. This very small gesture made me proud of the person that I have become. I was able to help someone else that didn’t even ask. I have made mistakes just like everyone else in this life but I have also made big comebacks. This may sound like some super cheese but the one thing that I have accomplished that I never thought I would was to love myself. For the first time in my life I love everything about me…I love my imperfect body and my imperfect teeth. I love my awkwardness and my ability to giggle in uncomfortable situations. I truly love everything about myself because it makes me this unique creature and I have learned that my outer appearance has nothing to do with who I am. I have this want and desire to emit happiness and kindness because it is what I feel. I love myself because even though I may screw up, I know that my intentions are always good. I know that when I love….I love until it hurts and I want the people that I love to never have to experience pain or heartbreak…I know it is inevitable that they will but in my heart I know that if I could take it away I would. Loving yourself seems like such a simple concept and in most people’s eyes it wouldn’t really be considered an accomplishment but if you were to ask people all over the world if they truly loved themselves I think you would hear the word NO a lot more than you would expect. I have many accomplishments under my belt…I have lost 65+ lbs and have maintained and continue to lose weight, I quit drinking to be healthy (no drinks in 18 months), I have planned youth service projects and have been featured on the local news and in newspapers, I have met various state representatives and fought for the rights of children and youth. These are amazing accomplishments of mine and I am proud of myself for what I have done but they hold no comparison to loving the person that I am to this very day. There is no feeling that could compare to being able to no longer believe life would be better if I was thinner or smarter or had more money. Nothing is better than seeing the beauty in everyday and seeing how you are part of the value of that beauty. My words may sound corny to some but I have encountered so many people (young and old) that have no sense of self-worth. Too many people in this world do not believe in themselves because they have not been reminded enough times of their youth. 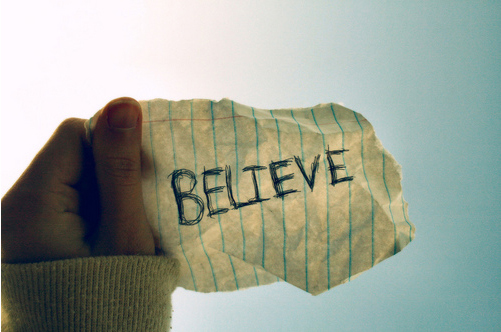 In order to truly believe something, in a lot of situations, you need to have it repeated over and over again. If someone is told over and over again that they are worthless or need to lose weight or they will never amount to much….they are going to believe it. I am so happy that I have lost weight and I am finally starting to feel comfortable in my own skin but my weight whether it is 140, 180 or 250 is never going to define me and the lower the number goes on the scale does not equal happiness. It took me from about 6th grade to just about 7 months ago to realize that. The happiness I am experiencing is not from the weight loss….it is from the pride I have in myself for pushing through the hardest times and choosing a lifestyle that I knew would be much healthier for me. The happiness is a feeling…it is not the goal itself. ❤ this post! Go you! Good for you,Diane. Learning to love and like myself has been a journey. I’m glad I put my foot on the path and wouldn’t trade the experiences for anything. I think one thing I’ve accomplished that I never thought I would, would probably have to be getting a full-time job. That always seemed like a foreign impossible concept to me, but here I am 3 years out of college working away… it’s interesting the way life helps you accomplish things you never thought you’d be able to do. Thanks Diane for your comment. Thanks for the following….. Love your blog!! I was so joyful watching this video, I had to share it. I do hope that was ok. What a blessing all things are possible when you believe. Thank you so much. Thank you Diane have a wonderful day. My driving licence! I was terrified of driving. Its nice seeing the progression of a blog and even nicer seeing someone recognize their own progression and development. Great read. My accomplishment was consistent gym/running last year for 4+ months ALONE without a boyfriend or drill instructor to keep me consistent. I did it alone. With minimal tears (although there were some angry early days alone at 4 am in the gym). I hadnt thought myself capable of that in 20 years and in fact got quite angry at the thought that I should even have to. Im not working out now but at least the thought doesn’t upset me like it did. It was nice showing myself that I could overcome…myself. Good for you! You are such an inspiration. sometimes it just take courage to do the things you’re too afraid to do! Great post!